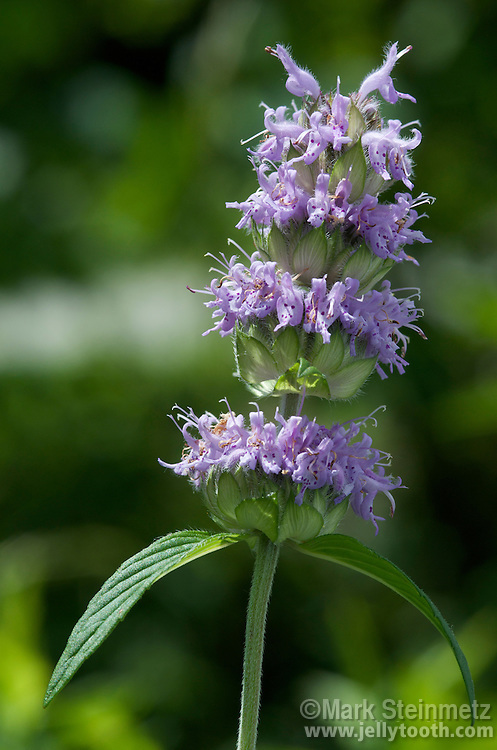 Downy Wood Mint (Blephilia ciliata). Also called Downy Pagoda Plant. Flowers are crowded into axillary and terminal whorls about 1 inch in diameter. Native North American wildflower of prairies and open woods, in areas of dry soil.